2. The control panel on the cloth does not matter how anti (when armed keyboard Didi tick sound)? 8. Why not install a wireless alarm? 1 has an open case, the need to check the wireline case. 2 Remote control signal interference. 1. To put alarm host to be a dry place. 2. Don’t put in a too cold\ too hot\ too many dust place, which will results the inside electronics with less longer lifetime. 3. Don’t put alarm host panel or sensors to be in a too low place, to avoid child get it. 4. 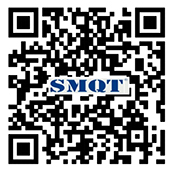 Test products from time to time, to make sure function well. 5. If long time not use this products, please disconnect power completely. 1), co-channel interference: Due to limitations "Radio Commission," the civilian wireless products for the "315MHZ and 433MHZ" band. Install the same household more than just wireless detectors or with the band "315MHZ and 433MHZ" wireless alarm systems, co-channel interference will occur, triggering one of them, the control panel can not receive other signal detectors and remote installation of several adjacent. If the family was at the event, the detector has been triggered, then the neighboring residents want to use the remote control "arm" or "disarm" or lawless invasion next door, although the detector "Alarm" But the alarm host will not respond. In another case, if the criminals more professional, continue to trigger the built-in remote control or jammers emit interference signals, then the radio host can not receive wireless detector alarm signal, the entire wireless alarm system is paralyzed, it is a wireless The greatest weakness of the alarm system, wireless alarm products to install, the more serious these kinds of situations. 2), a wireless shield: Use the "electronic radio jammers" to the wireless signal jammers, wireless alarm system is also paralyzed, can not work properly. 3) critical signal: When the wireless detector distance and wireless host in "Signal critical point", as the battery power is low or environmental changes are likely to cause a host sometimes received and sometimes you can not receive the probe signal instability this time will produce false negatives. 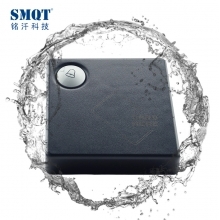 4), Battery power: when the battery runs out, the need to manually replace and increase maintenance costs; the alarm system commissioning and maintenance of the professional, the average consumer is difficult to replace themselves, to the use of generations to inconvenience. 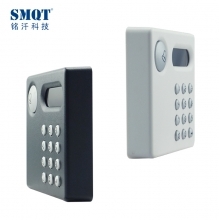 Some manufacturers because the technology is more in place, no alerts when the battery is low or there are not headed reminder note, lead to the thief could not enter the wireless detector alarm, causing losses to the owners. Further, since the battery-powered, wireless alarm system can only use this low-power wireless infrared detector, the detector false alarm rate. 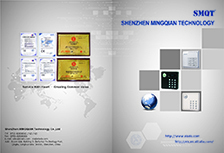 Now many companies launch wireless Shuangjian detector 220V power supply, since the energy distribution 220V line, the same can also cloth weak line, this wireless alarm system is not in the true sense, but still can not solve the interference problem. Now it has nearly five decades, or will appear often do not signal the birth of the first wireless embarrassing phone (cell phone) from 1973 in the world, unmatched stability and fixed telephone. Even the symbol of the highest human technology military equipment such as wireless: GPS positioning, phased array radar, satellite communications and other high-tech wireless equipment, in the frequency domain with the enemy suffered high intensity electromagnetic interference, will fail the same token, in the security The wireless alarm system only appeared a mere ten years, what is stable and mature. In summary, the wireless burglar alarm system, technically deficiencies, and install a wired burglar alarm system has become a trend and a necessity. Wireless alarm system has a fatal flaw, and many other issues, it can not only be used for a number of wired burglar alarm system wiring, or to prevent the less demanding and some temporary burglar alarm project.